A new generation of engineering tools. 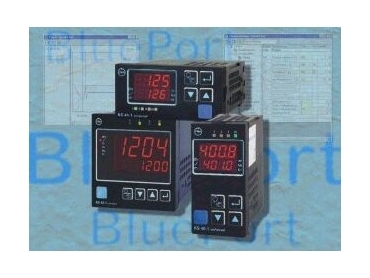 THE new BluePort controller range from PMA, and available from ECEFast , now has seven members. Common to all versions is the BluePort interface in the front panel. Via the interface, it is possible to connect a PC or laptop directly. Together with PMA's BlueControl software, this represents a new generation of tools under Windows that enables controller engineering to be carried out individually, clearly, and quickly. Users also have access to a powerful simulation tool for all the new BluePort versions. Real-time trend curves can be recorded and exported easily. The new maintenance manager can be interrogated and configured, a remote diagnostic function can be connected directly, and the error list for sensors/actuators can be analysed. The KS40-1 from the new BluePort series comes in the 48 x 96mm DIN format and is intended for universal use in all thermal and other industrial control tasks - with three output relays for switched actuators, plus a universal analog output for continuous devices. A front key for auto/manual switchover, the heating current monitor, and timer functions are standard features. Two other relatives of the KS40-1 come in a horizontal (KS41-1) or square (KS42-1) format, the latter with an especially large display of 19mm height.